Prevent several kinds of back pains by exercising trunk muscles. The Darwin abs and back trainer supports this training. Do with comfort most important exercises for abs and back on the little fitness equipment. 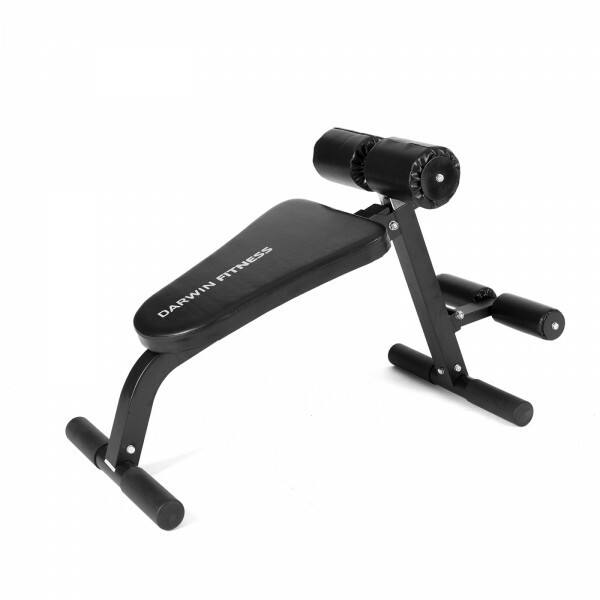 The Darwin abs and back trainer is light, stable, and versatile. After exercising, just fold it up to store or transport it easily. The seat is not quite stable and is easy to break down. I have solved the issue by reinforcing the seat. Good equipment for the price in general. Perfect om buik-en rugspieren te oefenen. Heel praktisch en uitnodigend om elke dag oefeningen te doen en dit vol te houden.